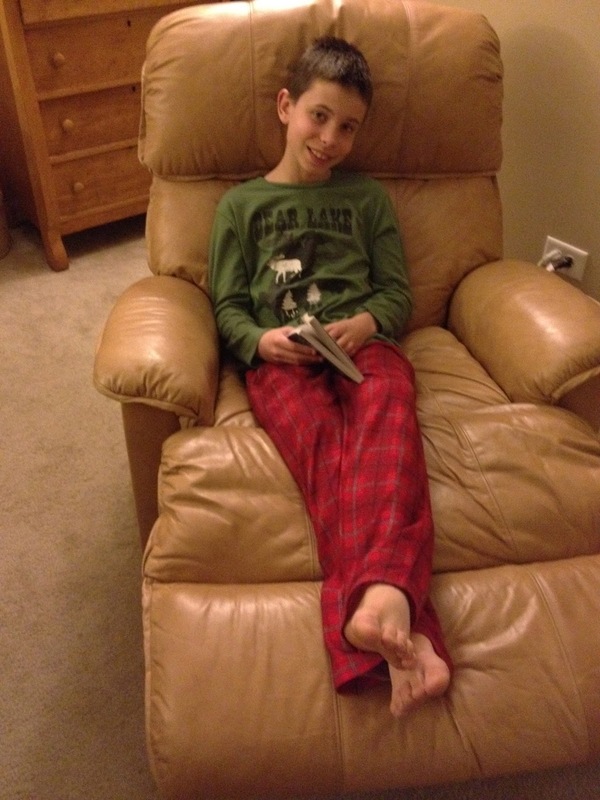 Some friends let us borrow their La-Z-Boy recliner for Kent to use after his surgery. It has become Andrew’s favorite spot to do his school work! Next Post Next post: It’s warm! !